We don’t get a lot of albums sent to us where humour is one of the most obvious traits but The Choko King is probably one of the most playful albums I’ve heard this year. It’s chock a block full of humour and quirkiness. The ghost of Frank Zappa is certainly making its influence felt. On first listen I assumed what we had here was a concept album; a mini comedic opera, not unlike Joe’s Garage but looking at the press release that comes with this it’s actually a collection of pieces from between 1995 and 2008 so that’s that theory out of the window then! 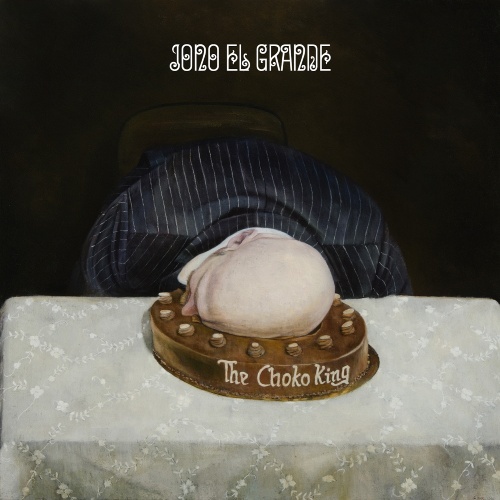 Jono El Grande is a self-taught composer, musician, conductor and prankster. He released his debut album in 1999 which was a collection of absurdist instrumentals and some of the pieces here predate that. In light of all this it’s quite remarkable how cohesive the whole album is. It doesn’t sound like a collection of pieces written and recorded over a thirteen year period and I guess this is where the humour comes in. That quirkiness that this album and it’s many tracks has makes for a common unifying feel for the album and doesn’t make it sound as disjointed as something covering this time frame could do.